Hillary Clinton toured DART Central Station on Monday, July 27, 2015, followed by comments to the press. DART General Manager Elizabeth Presutti led the tour, which highlighted the building’s environmentally sustainable construction and operations. DART Central Station has been certified LEED Platinum, the highest certification of the LEED (Leadership in Energy and Environmental Design) Rating System of the U.S. Green Building Council. The building achieved this certification through sustainable site development, water savings, energy efficiency, materials selection and indoor environmental quality. For more photos, visit DART’s Facebook page: http://on.fb.me/1LPIiJj. 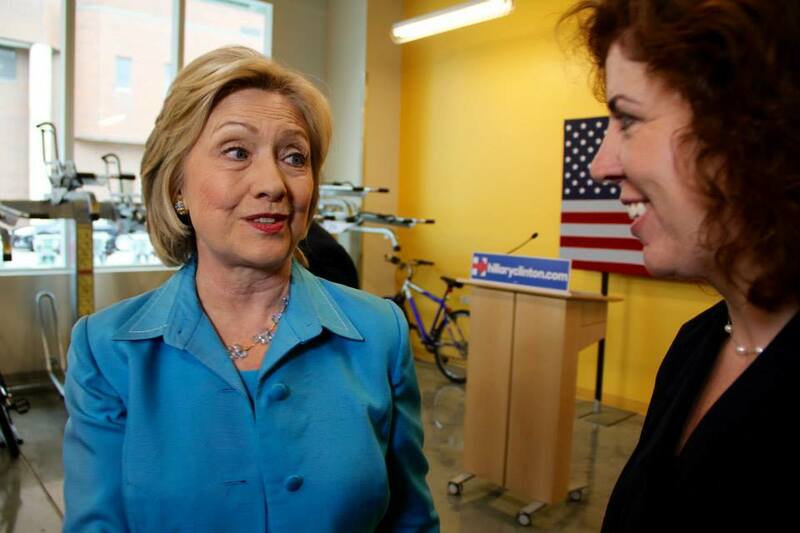 Hillary Clinton speaks with DART General Manager Elizabeth Presutti. 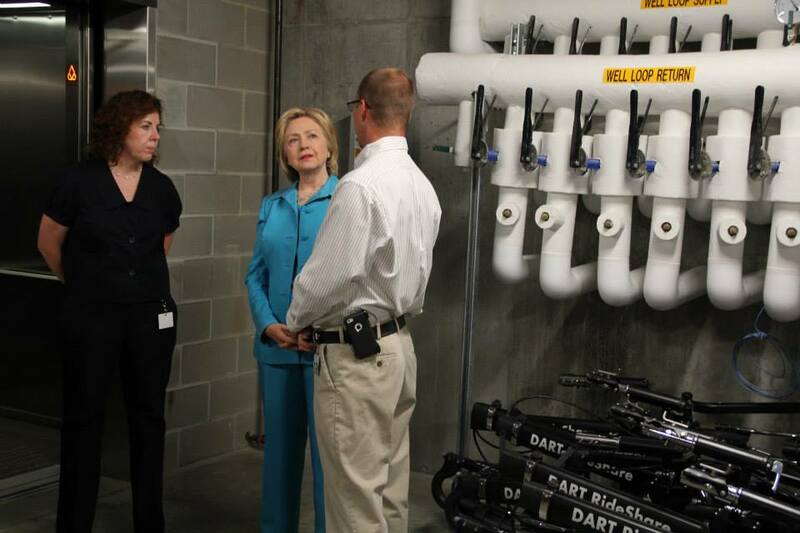 DART Building Supervisor Keith Welch shows Hillary Clinton the geothermal wells that help with the heating and cooling of DART Central Station. 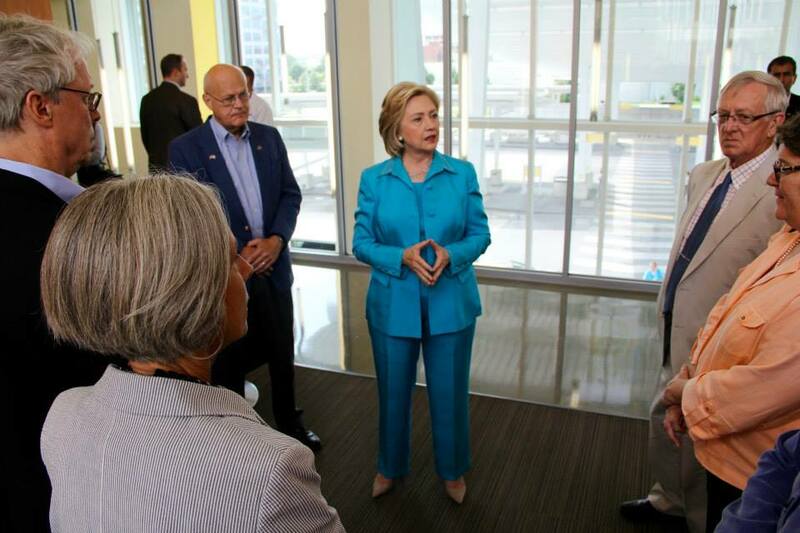 Members of the DART Commission Board meet with Hillary Clinton during her tour of DART Central Station. Media from across the county filled the bicycle storage room at DART Central Station to hear Hillary Clinton speak. Catch up on work. Take a nap. Soak up the scenery. And save 25% on three month’s fare. 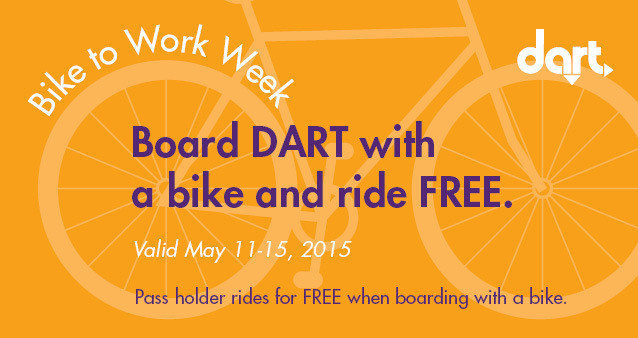 New riders who join a DART RideShare vanpool by May 31, 2015 will receive a 25 percent discount on the first three month’s fare. To join a vanpool or learn more about saving 25% on three month’s fare, contact DART RideShare Customer Service today by phone at 515-288-RIDE (7433) or email rideshare@ridedart.com. Thank you, Greater Des Moines! For showing your support for our roads, bridges and public transportation! It is time for a long-term investment in our roads, bridges and public transportation! Hundreds of people signed the DART bus in support of transportation. 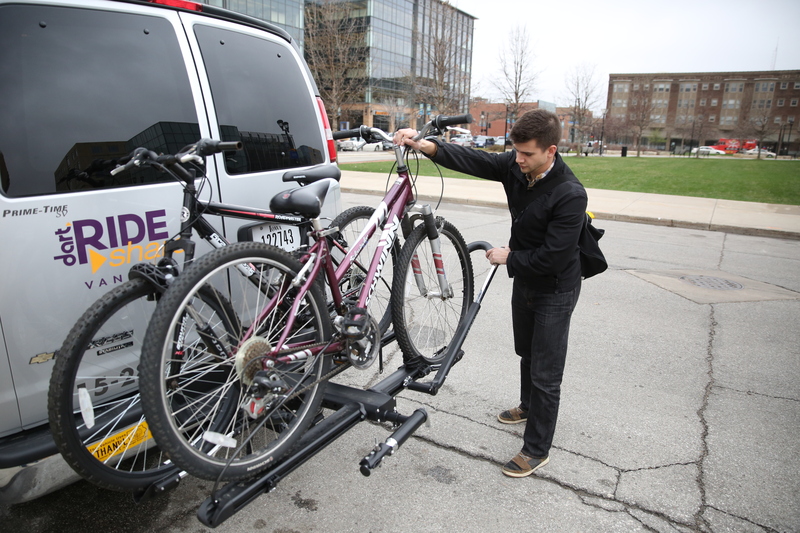 More than 150 events were held across the country to advocate for sustainable and reliable federal transportation funding before current funding expires on May 31, 2015. 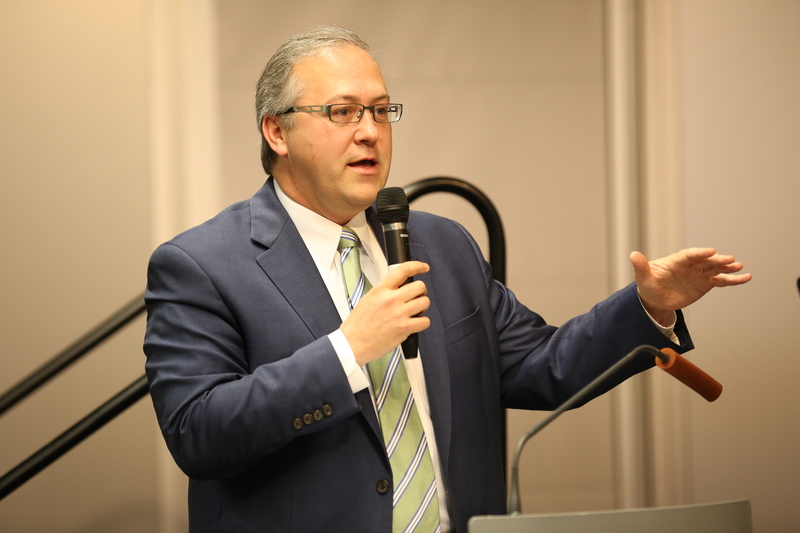 In Des Moines, we hosted a panel discussion with guest speaker Congressman David Young who gave a brief talk and answered questions on federal transportation issues. 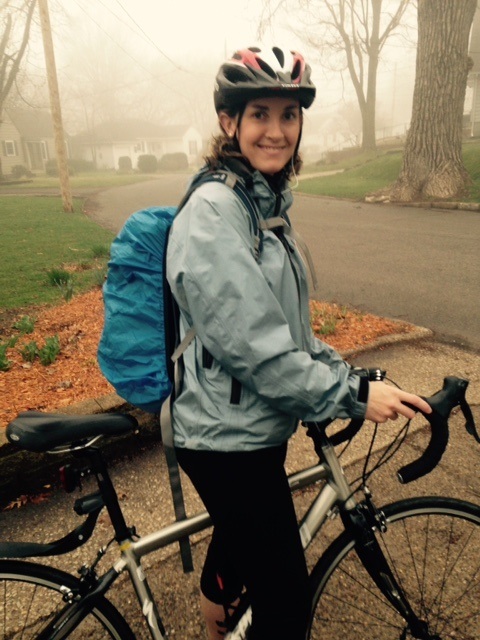 Young serves on the U.S. House Appropriations Subcommittee on Transportation, Housing and Urban Development. Congressman David Young speaks on federal transportation issues. The panel discussion included Ben McLean, Ruan Transportation; John Cinealis, The Toro Company; and Jake Christensen, Christensen Development. 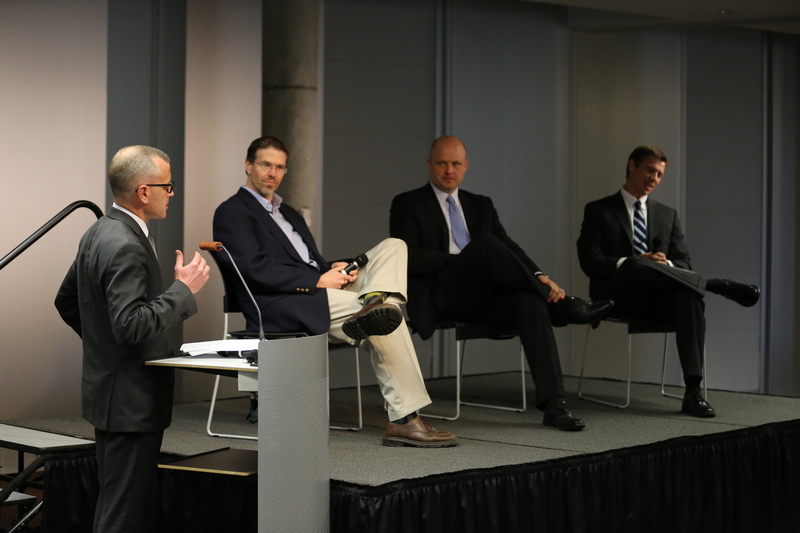 Panel members discussed how transportation infrastructure and the need for long-term funding affects their company, their employees and Greater Des Moines. An open street event was also held on 12th Street in Downtown Des Moines. 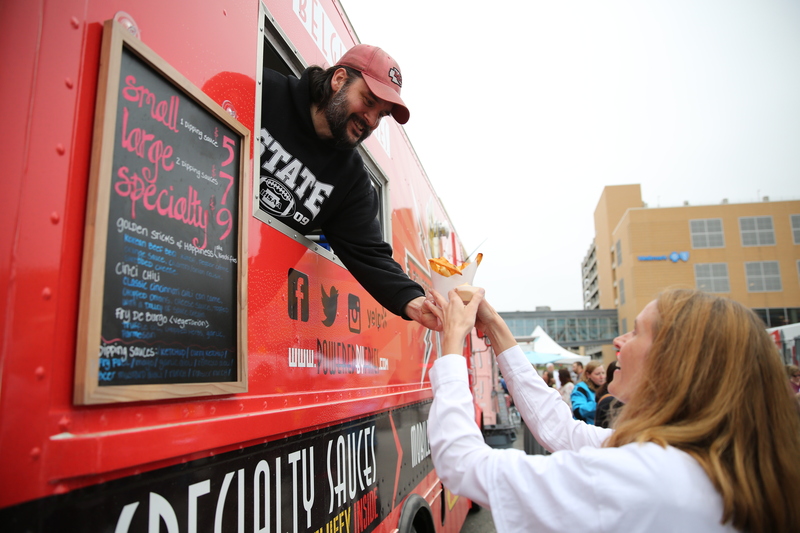 Attendees could grab lunch from local food trucks, sign a DART bus in support and speak with local organizations about the importance of transportation. Powered by Fries was one of the food vendors at the open street event. Attendees signed a DART bus in support of transportation. 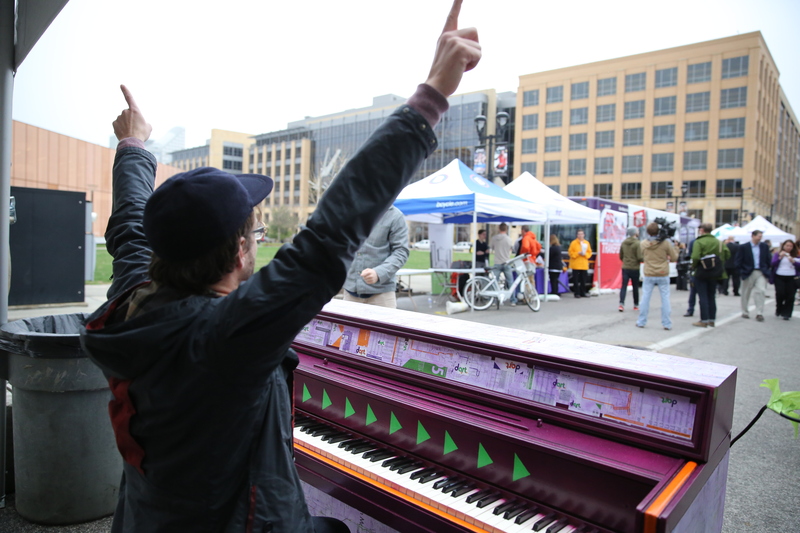 Christopher the Conquered played one of City Sound’s Public Pianos for entertainment. For more event photos, visit our Facebook album. Check out the new shelter on Route 16 located at the intersection of Douglas Avenue & 50th Street. This is the third new shelter to go up in the Des Moines metro area since last October. The next shelter scheduled to be installed is also on Douglas Avenue, near the VA Hospital. Have a suggestion for a bus stop that could use a shelter? Please leave a reply below. Starting this Sunday, June 8, 2014, schedule adjustments on the routes listed below will be implemented to better serve DART customers. Click routes to view new schedules. New print schedules are available on buses now. 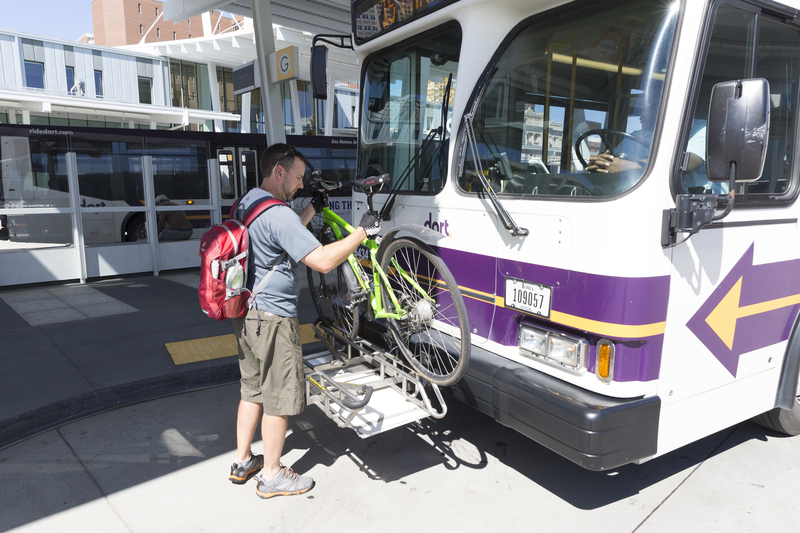 The next scheduled service change is Sunday, August 17, 2014.